American Heritage Girl fundraisers are very important because they provide each Troop with funds for general expenses and the many activities they sponsor. 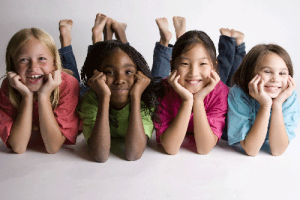 Over the past 20 years, the American Heritage Girls organization has grown immensely. AHG provides girls with the opportunity for leadership and character development that is christian value-based and rooted in faith. Finding American Heritage Girl fundraisers that are easy to execute, with a product that potential supporters desire can be difficult. Giving Bean’s coffee fundraiser helps take the headache out of raising funds through excellent product quality and simple guided methods. Everyone loves coffee and tea! Your Troop will earn 40% profit from the in-person fundraiser and 25% profit of anything sold online. Every sale is tracked, attributed, and reported by member (scout) for both in-person and online sales. Online fundraising helps you reach any friends and family that don’t live in your area but would still like to support your Troop. There are no startup costs, easy step-by-step instructions, fast shipping, online support, and phone support. You can fund your entire year with Giving Bean! Giving Bean works with many AHG Troops nationwide for all of their coffee fundraising needs and is a preferred vendor with AHG national! Some Troops have even earned the top spots as Giving Bean best sellers. Highly motivated and focused groups do very well. We offer gold, silver, and bronze iron-on patches as incentives to participate and achieve. One of the best strategies for a successful fundraiser is to request/assign a number of items each girl should sell. Using the patches as incentives for participation and as awards for better than minimum sales will help reach or even exceed your goal Troop fundraising goals. In addition to the order form fundraiser, we offer a ‘show and sell’ option. This is an order of (usually 50+) items of a few of Giving Bean’s most popular coffees and teas. “Show and Sells” are a great way to spark interest in the products and your fundraiser. This normally done at a church or other event during or around the time of your in-person/order form fundraiser. Speak with one of our fundraising support person to get suggestions on products and methods.